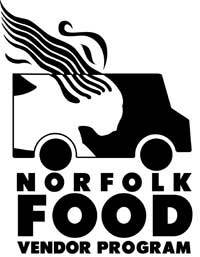 The city’s food vendor program provides designated zones for food trucks to vend within the City of Norfolk on a first come first serve basis once approved. The Food Truck Program’s goal is to offer freshly made entrees to support the lunchtime hours downtown with optional expansion for breakfast, lunch and evening meals in the City’s other designated zones. Vendors who primarily serve desserts may contact the City for participation in special events. Those interested in participating in the Food Truck Program should contact Paul Filion 757-664-4284. 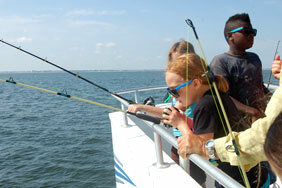 Required permits and licenses for this program include a Norfolk Business License from the Commissioner of Revenue, a Health Permit from the Norfolk Department of Health, a Fire Inspection and decal from Norfolk Fire Marshal’s Office and a Vendor Parking Permit and decal from the Norfolk Department of General Services, Division of Parking. 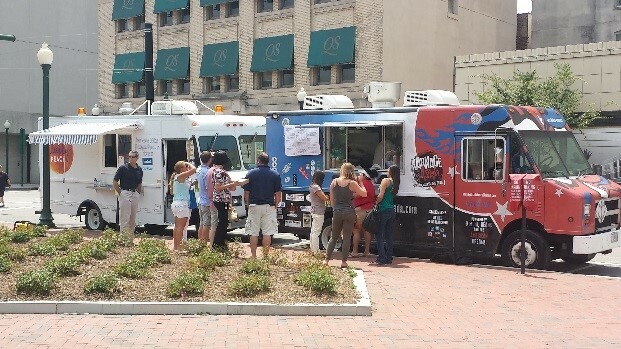 Food Truck Rodeos are held on the 3rd Thursday of every month—rain or shine. Hours are 11:00 a.m.-2:00 p.m. Please come and bring your appetite for food and entertainment in Downtown Norfolk’s MacArthur Square near the light rail station. Interested in participating in a future food truck rodeo?